Game content sold after the initial release often fractures the player-base: those who own the content and those who don't. Many games take this for granted. Most noticeable in the multiplayer environment, this split prevents players who don't own DLC from joining and playing with friends who do own it. 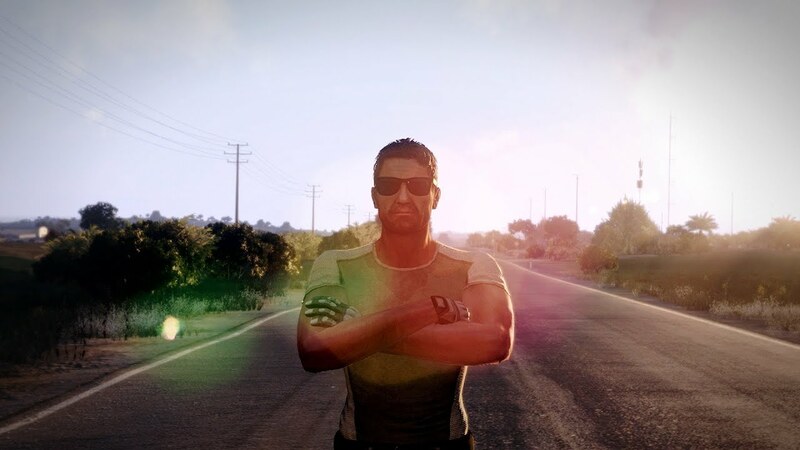 In many modern games, if you don't own, for example, a vehicle pack, you cannot join servers that use those vehicles. This is perhaps the most straight-forward illustration of what we'd like to avoid in Arma 3. We've made a point of positioning the game as a platform - one that keeps evolving, growing and maturing over time. Anything that splits the playerbase goes against that philosophy, so we're eager to prevent this from happening where we can. 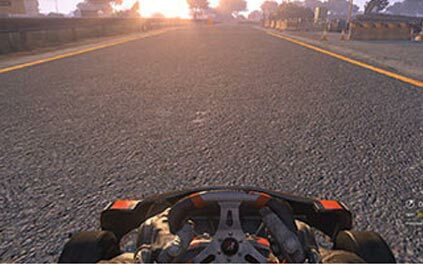 If you've played Arma 2, you may know that we already provided a solution to avoid this type of split. 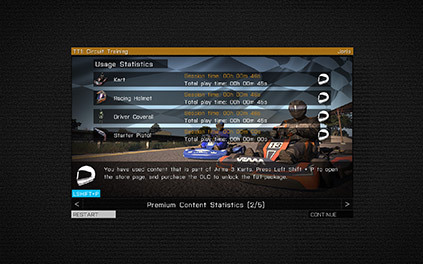 In the form of so-called 'lite' data, we released downloadable content to everyone who owned the game, regardless of whether people purchased it. In this lite data, the fidelity of the artwork, audio and animations was lowered via compression techniques. 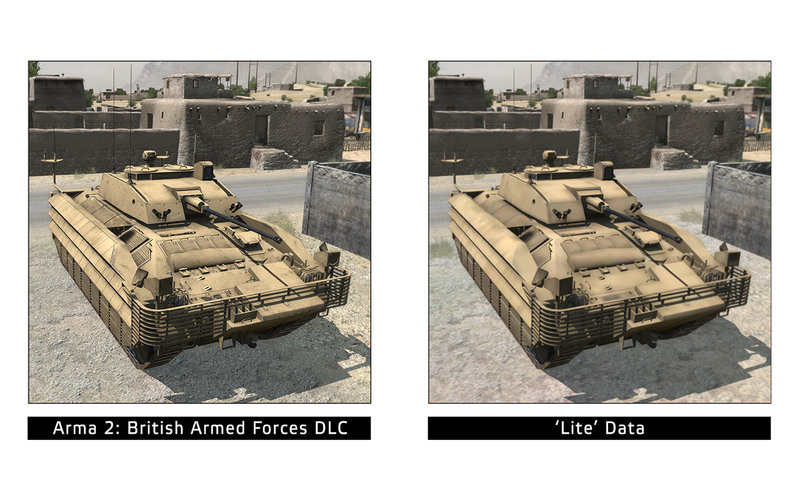 To give an example, a lite tank would have low quality textures and compressed sound effects for those people who did not own the DLC. We like to think the theory behind this was actually pretty cool; it achieved its goal of avoiding the split. In the end, everybody was able to connect to any MP game, even when it used DLC. However, for players and developers alike, this approach wasn't always ideal. For our players, it could quite drastically affect their perception of quality. For example, if a player was unaware of our 'lite' approach, they'd play a game with high-quality content mixed in with low-quality content - thinking this was either a bug or poor production values on our part. There was no real sense of what was and what wasn't DLC. So, how to prevent an inconsistent mix of high and low quality content? Simple: give everyone all content at its highest quality for free. However, we also have to acknowledge the realities of running a business and the costs of quality development. Simply put: we need to sell new products so that we can continue to grow, improve our teams, and further invest in Arma 3's development. 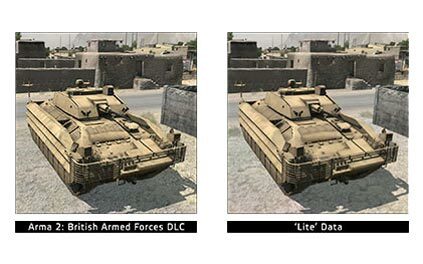 For Arma 3, we've been looking at other ways of achieving the same goal, while making it more obvious to players when they are using DLC - or as we also refer to it: premium content. We've been experimenting with various reasonable restrictions for unowned content. This means making all premium content available to everyone, but applying certain limitations and notifications for those who haven't purchased it. Since that may sound rather vague on paper - and because we're interested in gathering your reactions as you uncover them - we don't want to detail each specific restriction just yet. Instead, we'd like to provide a concrete example of how it all works. We'll go into further details below. To explain the system a bit more thoroughly, while you'll be able to use premium content everywhere - in singleplayer, the editor and multiplayer - if you haven't yet purchased it, notifications will be shown. These become more prominent the longer you use an unowned asset - and only when you're using it - we have no intention to present 'ads' to you when you are not actively playing with unowned content. Should you like an asset, let's say a new helicopter, you can then buy the DLC package it belongs to, for example the Arma 3 Helicopter DLC. The cool thing about that is, with the help of Steam, you can now purchase a package without leaving the game (you can still, however, also purchase the DLC directly from Steam and out-of-game). Note that you will not be buying individual assets, like a single weapon / vehicle / scenario, but rather the whole package. Let's take a look at what we consider to be the main benefits of our new approach for players. You're not confronted with the DLC multiplayer content divide. You can connect to any server running official content, no matter whether you own DLC. We intend to provide all technologies and gameplay features to everyone; as we said in our previous blog: "features are free, premium content is paid". For example, introducing the ability to fire from vehicles in Arma 3 Helicopters, we open this functionality up to everybody who owns Arma 3. New DLC helicopters and playable content will then build upon it and showcase it. The process of getting new official content should be much smoother. Purchase inside or outside the game and that's it. Since you already have all data downloaded, no further installation or configuration is necessary; you don't need to worry about what patch to install for your version. There are many ways of trialing content, but experiencing a good cooperative scenario is right up there. Imagine the example helicopter from before. Your friend owns it already, and he can fly you around and let you inspect its strengths! You only need buy the packages you really like and use a lot. Of course, we'll try to make all DLC worthy additions to the platform, but you are not blindly buying into DLC and the choice is yours! This approach also offers serious benefits to us as a developer. Anything that streamlines the development process will, ultimately, benefit our players, too! As mentioned above, when we update the game, we don't have to maintain countless versions of the game with and without certain DLC. The same applies to Quality Assurance and testing. Instead of needing to test every single combination of ownership, we can focus all efforts on a single configuration. That increases the overall level of quality our relatively small team can deliver. By not locking features to DLC, we can be sure that players will have access to it in future. Let's say we would like to add a scenario in the Expansion about Sling Loading. If this was - and it's not - locked to Arma 3 Helicopters DLC, we couldn't reliably use it. Platform, platform, platform - you'll see by now it's all coming back to that keyword. Time to explore an example. Say, we will include a new helicopter and showcase scenario as part of the paid Arma 3 Helicopters DLC. When it releases on Steam, a free game update to Arma 3 is released at the same time - containing all data belonging to the Helicopters DLC (including all premium content) - for everyone. 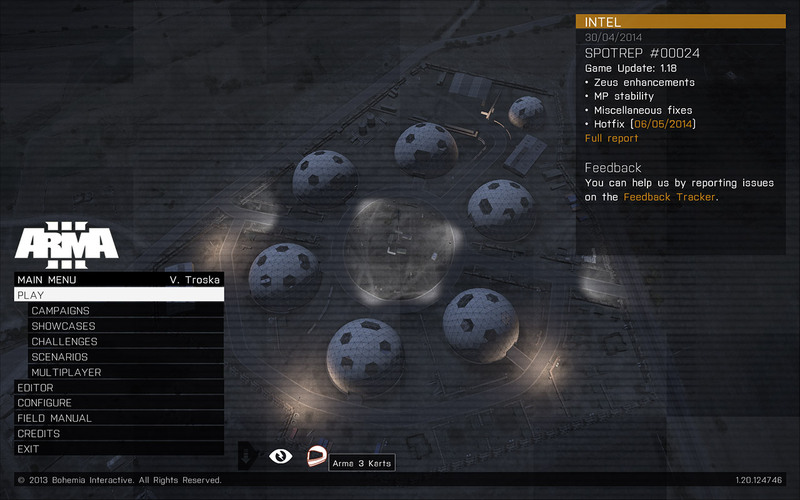 You launch the game and see an icon at the bottom the main menu, indicating that the Helicopters DLC is installed and owned. Clicking on the icon will open the Field Manual to the Helicopters DLC records. The helicopter is available as you would expect in the editor, along with the official scenarios, and multiplayer - have fun! 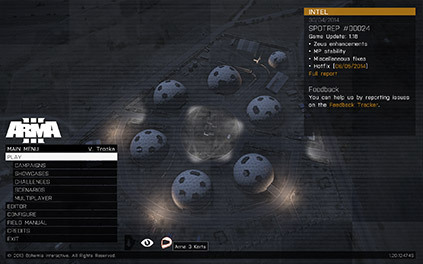 You launch the game and see an icon in the top left of the main menu, indicating that the Helicopters DLC is available. You could purchase the DLC right there and then, but choose to continue to play on as normal. The helicopter is available to try out in the editor, but the SP scenario is locked. You can use the helicopter with some restrictions (e.g. you can only board the helicopter as a passenger). The longer you actively use it, the more prominent the premium content notifications become. You can join as normal. 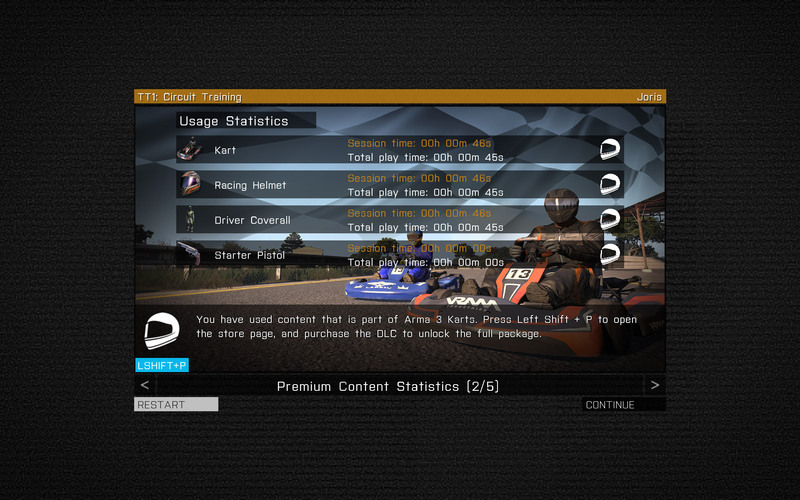 Again, you experience the progressive DLC notifications and restrictions. Since you've really enjoyed the helicopter so far(! ), you decide to buy it in-game directly. The limitations and notifications are immediately removed. We display a confirmation note - thank you! On April 1 2014 we released a parody video to which the response was very positive! At the same time, we were looking for a good way of trialing our new DLC strategy: offering premium content to test and validate our new approach. Even though we believe in our new approach to DLC, we realize that it's somewhat experimental, and may yet not work out. We'd like to see how players respond to it, whether they see the benefits, and whether it actually works. 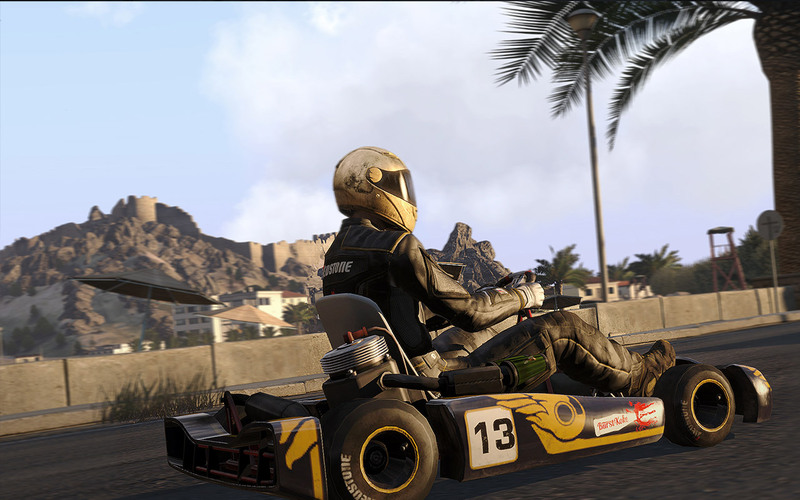 Rather than doing this via the first 'big' DLC - namely, Arma 3 Helicopters - Arma 3 Karts was born. The go-kart seen in the video was a hobby project made by senior artist Martin Valášek in his free time. 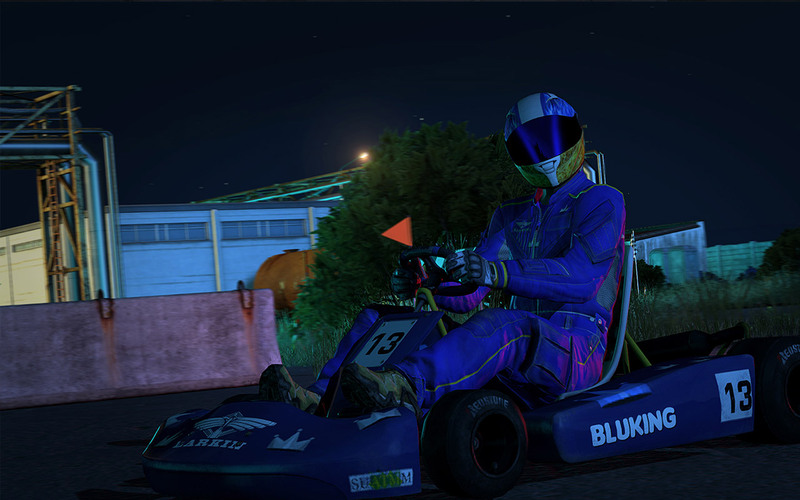 A racing driver, wearing a new helmet, and overalls that match the various liveries available for the kart. A racetrack marshal uses a starter pistol (a rather extreme kind that fires signal flares). 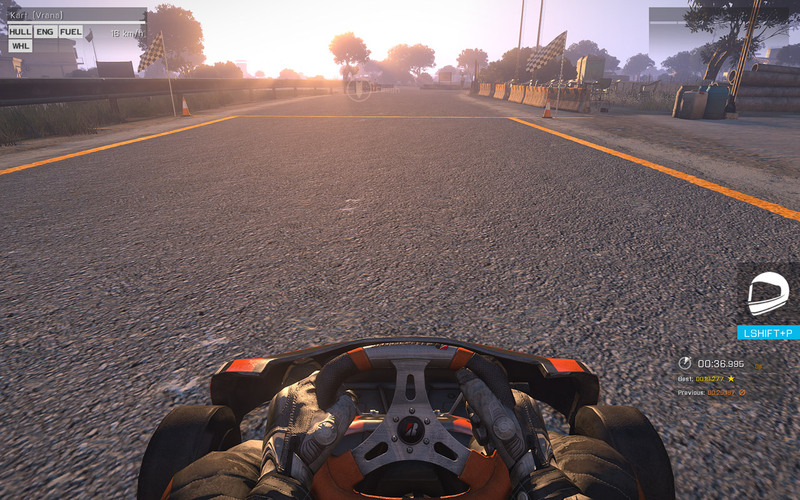 Playable content exists as a new type of singleplayer Challenge: Time Trials, which includes 5 simple races against the clock. For multiplayer, there are 3 new modules that enable Zeus to set up a Check Point race, along with 2 pre-set races using those modules. 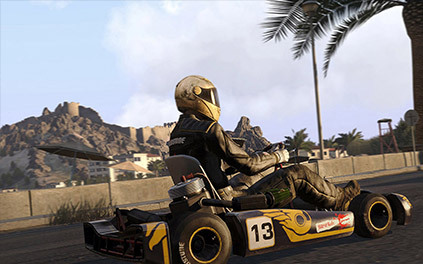 * The DLC Bundle is the best value for Arma 3 fans who want to get the most out of the platform. 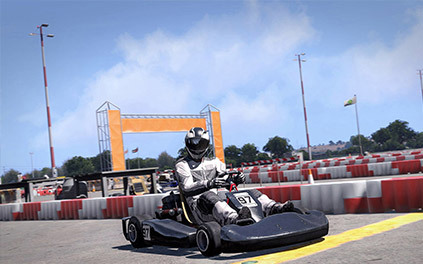 It contains the 3 DLC packages: Karts, Helicopters and Marksmen. The bundle does not include the Expansion. The Starting Line: Go, Go, Go! 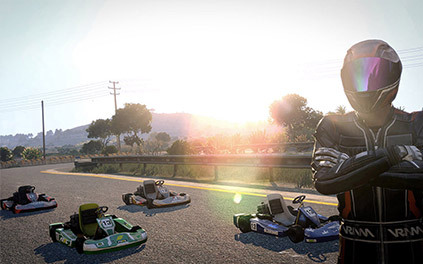 The Karts DLC is available right now! Update the Arma 3 main game to version 1.20 and find various in-game options to purchase it (or buy directly from our store). 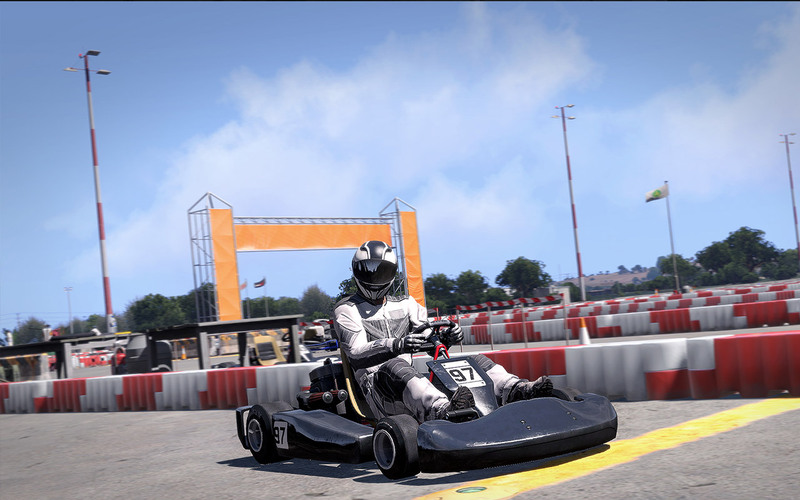 Since we consider the Karts DLC to be more of a fun little side-step - and also as a way to trial our DLC business model - a portion of the proceeds from the sales of the Arma 3 Karts DLC will be donated to the Czech Red Cross. The total amount raised will be announced on www.bistudio.com in June 2014. Overall, we've tried to devise an approach to DLC that's most beneficial to our players, providing quality content without dividing the playerbase, while still funding our future development. It will be interesting to see what you think of it. Please give it a go in-game. Based on your feedback, there will be a round of tweaking followed by an evaluation of the whole strategy. If it works out, we'll continue to iterate and improve it. If it doesn't, we'll have to look for other solutions. Either way, for now, have fun racing karts around Altis!